The Nvidia GeForce 940MX is a mid-range laptop graphics card with DirectX 12 support (FL 11_0). It has been announced in the first quarter of 2016 and is the refresh of the GeForce 940M. Compared to the older card, the new one is based on the same chip but now supports faster GDDR5. Therefore, it is similar to the Maxwell GPU in the Microsoft Surface Book but with more memory and higher clock speeds. However, most notebook vendors will use the slower DDR3 version of the 940MX that clocks only a few percent faster than the old GeForce 940M (1122 versus 1072 MHz base clock e.g.). For the GDDR5 version of the 940MX there appears to be also a variant with the GM107-B chip with 512 shaders instead of the 384 but lower clock speeds. The 940MX in the Acer Aspire E5-774G e.g. featured 512 shader cores (GM107) clocked at 795 - 861 MHz. The Dell Inspiron 17 7778 version however had the GM108 chip with 384 shaders clocked at 1083 - 1189 MHz. The performance greatly depends on the used graphics memory and chip. According to our benchmarks (see below), the DDR3 version is very similar to the old 940M (due to only minor increased clock rates). The GDDR5 version however pushes ahead 20% (even 30% if paired with a fast desktop quad-core, but we lack 940M reference scores). Therefore, demanding games from 2015 should run fluently in low to medium settings and WXGA resolution. The TDP of the card should be rated at about 15 to 30 Watt (depending on the version, clock speeds and memory). Therefore, the GPU is best suited for laptops from 13-inch and up. The Nvidia GeForce 930MX is an entry-level DirectX 12 graphics card for laptops that was announced in the first quarter of 2016. It is the refresh of the GeForce 930M and now supports GDDR5 graphics memory. It is based on the same GM108 chip and may feature slightly increased clock rates. The performance will depend on the used graphics memory. With fast GDDR5 it should be similar or slightly faster than the Maxwell GPU in the Surface Book. With DDR3 it performs be somewhere between the old 930M and 940M. That means that only non demanding games of 2017 run fluently (in lowest detail settings) on the GeForce 930M. Games with low demands like Dota 2 or Path of Exile should run in higher detail settings and resolution. The power consumption should be quite similar to the 930M and 940M and therefore also suited for smaller laptops. 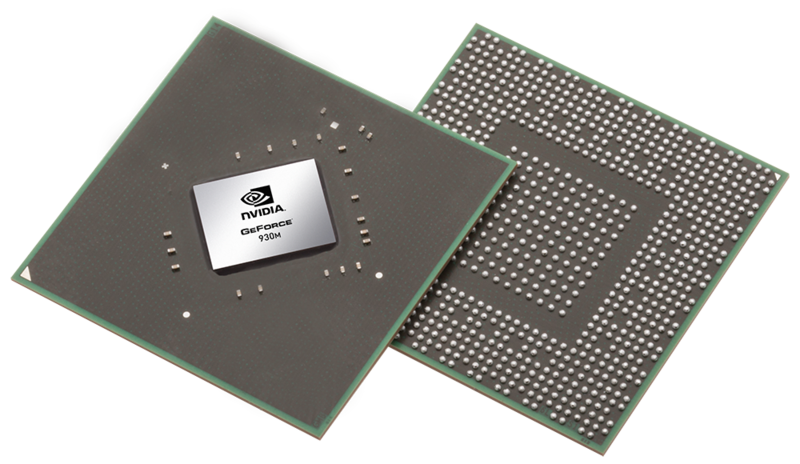 The NVIDIA GeForce 930M (sometimes also called Nvidia GeForce GT 930M) is a (lower) mid-range, DirectX 11-compatible graphics card for laptops unveiled in March 2015. It is based on the last years GeForce 840M. In addition to the "normal" 25 Watt 930M, there is also a low power variant with a TDP of 12 Watt and support for DDR3 and GDDR5. The DDR3 variant should be approximately 10% slower than the 25 Watt version. The performance of the GDDR5 version is still unknown. The shader count for these low power 930M are also unknown. As the LP version is clocked only at 457 MHz + Boost it may feature more shaders (or a high Boost). Update: The N16S-LP variant (5-12 Watt TDP, Low Power version?) will be available with GDDR5 starting in the first quarter of 2016. Later in 2016, the successor named GeForce 930MX was released that was available with GDDR5. Compared to Kepler, Maxwell has been optimized in several details to increase power efficiency. Smaller Streaming Multiprocessors (SMM) with only 128 ALUs (Kepler: 192) and an optimized scheduler should lead to better utilization of the shaders. Nvidia promises that a Maxwell SMM with 128 ALUs can offer 90 percent of the performance of a Kepler SMX with 192 ALUs. The 930M should feature the full GM108 with 3 SMMs (384 shader cores, 24 TMUs, and 8 ROPs due to the 64-bit interface). Another optimization is the massively enlarged L2 cache. The larger size can process some of the memory traffic to allow for a relatively narrow memory interface without significantly reducing performance. Similar to GM107, the GM108 supports DirectX 12 with Feature Level 11_0 only. The performance should be a bit below an average GeForce 840M due to the slower core clock. This means that demanding games like Evolve are only playable in lowest settings. Less demanding games like F1 2014 or Fifa 15 on the other hand should run in highest settings. See gaming benchmarks below for more details. GM108 integrates the sixth generation of the PureVideo HD video engine (VP6), offering a better decoding performance for H.264 and MPEG-2 videos. Of course, VP6 supports all features of previous generations (4K support, PIP, video encoding via NVENC API). Unfortunately, HDMI 2.0 is still not supported. The power consumption of the GeForce 930M should be about 33 Watts or less. Therefore, the 930M is best suited for laptops 13 inches in size or larger. 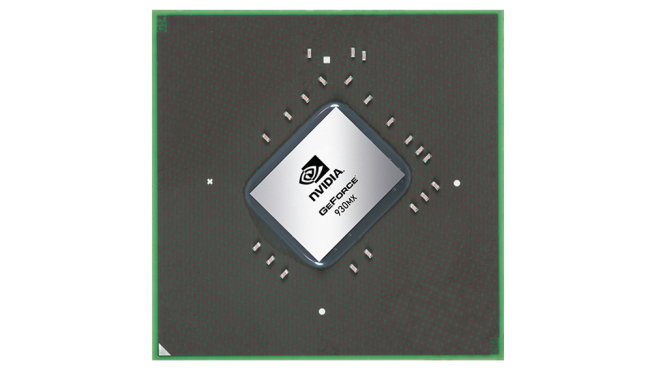 The 900M series also supports Optimus to automatically switch between an integrated graphics card and the Nvidia GPU.